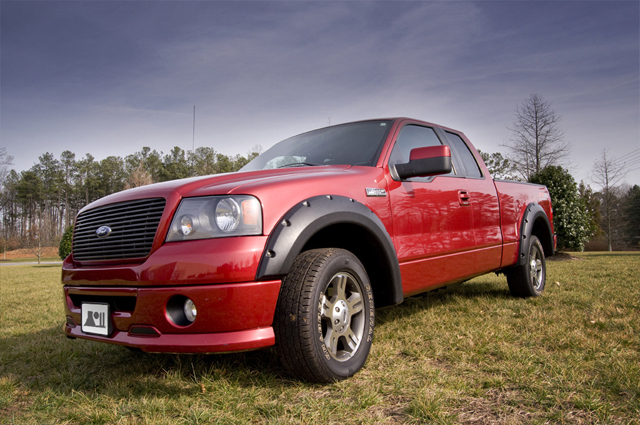 Suwanee, Ga. (January 30, 2013) – Omix-ADA®, a leading manufacturer of high-quality Jeep and truck accessories, today announced the availability of Rugged Ridge® All Terrain Truck Fender Flares for Chevrolet, Dodge and Ford full-size models. The expanded line up follows the success of Rugged Ridge’s Jeep flares that were launched several years ago. 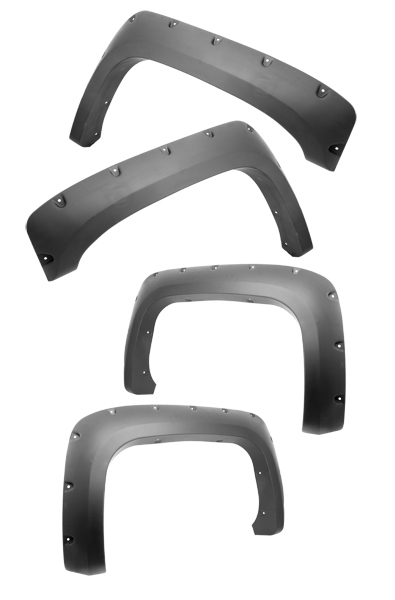 Easily interchangeable with existing factory installed flares, Rugged Ridge All Terrain Truck Fender Flares use the same mounting points, so there is no drilling required for installation. Each flare is constructed from paintable UV-treated ABS plastic and mounted with stainless steel fasteners assuring a precise fit that follows the contours of the truck. Rugged Ridge All Terrain Fender Flares are covered by an industry leading five-year limited warranty and are available onlineand through select truck, Jeep and off-road parts/accessories retailers nationwide, starting at $319.99. For more information on Rugged Ridge’s complete line of high-quality Jeep and off-road products, or to find an approved retailer, please contact Rugged Ridge at (770) 614-6101 or visit RuggedRidge.com. Omix-ADA®, Inc. is the world’s largest independent manufacturer and wholesaler of Jeep®, truck and off-road parts, accessories and floor liners. For nearly two decades, Omix-ADA has designed, tested and manufactured more than 15,000 of the highest quality restoration and replacement parts and accessories. The Omix-ADA family of brands, Rugged Ridge®, Alloy USA®, Outland® and Precision Gear® are distributed throughout the USA and in more than 50 countries worldwide. For more information, please call Omix-ADA, headquartered in Suwanee, GA at 770-614-6101 or visit http://www.omix-ada.com.